On the Cover: Coprophanaeus lancifer (L) from Peru (top) and Canthon triangularis (Drury) from Suriname (bottom). Photos courtesy of Trond Larsen (Arlington, VA). Brett C. Ratcliffe. Dec 2013. 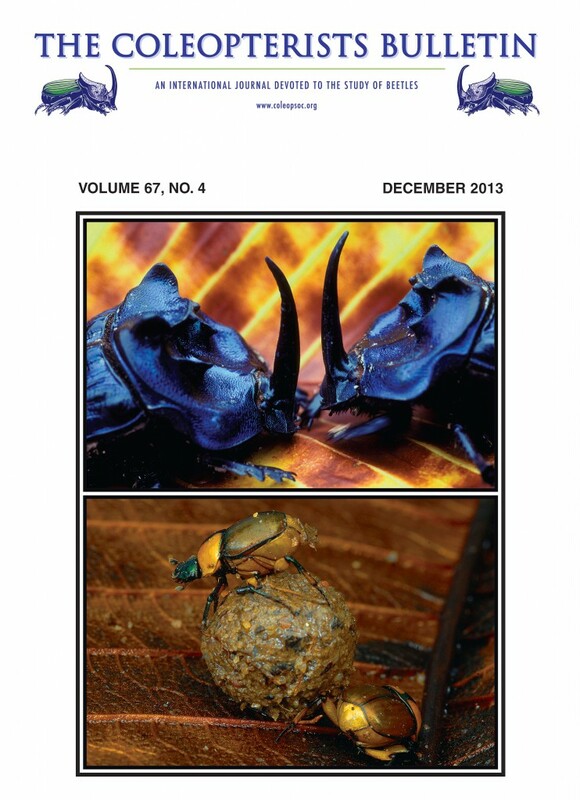 The Dung- and Carrion-Feeding Scarabs (Coleoptera: Scarabaeoidea) of an Amazonian Blackwater Rainforest: Results of a Continuous, 56-Week, Baited-PitfallTrap Study. The Coleopterists Bulletin 67(4), pp. 481-520..